Submitting this form sends an email to our Registrar. Lisa has been attending the ANP since 1976. She has been on the committee most of that time. She is a past President of Presque Isle Audubon Society in Erie, among other positions. She has a Biology Degree from Buffalo State College and her Masters in Entomology from Pennsylvania State University. Over the years she has led many different field trips and is willing to step up if a leader is MIA. Lisa believes in outdoor education as the best approach and all children regardless of age NEED IT! Can you guess which one is Marcia? Marcia is an elementary schoolteacher, retired after 41 years at Lewiston-Porter Schools. She has served in many capacities for the Buffalo Audubon Society – Board Director, Board Recording Secretary, Executive Committee, Education Committee founder and chairperson, Program Committee, and Nominating Committee. For many years, Marcia has been the registrar of the Allegany Nature Pilgrimage and the co-chair with Lisa Danko. Her hobbies include travel, birding, nature, and reading. Dean belongs to the Burroughs Audubon Nature Club and serves as the Committee Chair for the Sanctuary Building and Grounds. Dean‘s forte is in engineering and IT and is a go-to type of guy. He worked for Xerox for many years. Dean loves the outdoors and was raised in a family that traveled a lot. His parents brought him to every state in the nation (except Hawaii which he visited later) and he became familiar with many of the national parks on their travels. 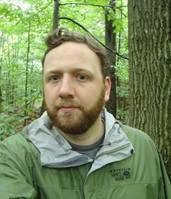 Dean is an avid hiker and often hikes the Finger Lakes Trail. His main love is bicycling and in the summer of 1981, he bicycled solo down the Pacific Coast from British Columbia and across the country to Rochester--a total of 4700 miles! Dean also loves to sail and spends many a beautiful summertime evening gliding with the wind on Lake Ontario or Irondequoit Bay. The out-of-doors is where Dean likes to be and so, of course, he loves the Allegany Nature Pilgrimage and helps to make sure that future generations can love it too! Julie is a member of the Burroughs Audubon Nature Club just outside of Rochester and is presently serving on the Council as a Trustee. Julie is a retired school instructor from the Rochester City School District and still does some substitute teaching. She was a playground leader in the City of Geneva for four summers and a camp counselor/program director for the Rotary Sunshine Camp in Rush, NY where she worked for five summers. She was a VISTA Volunteer in Sidney, Nebraska and helped institute a recreation center there. She believes in recreation being a crucial part of education! 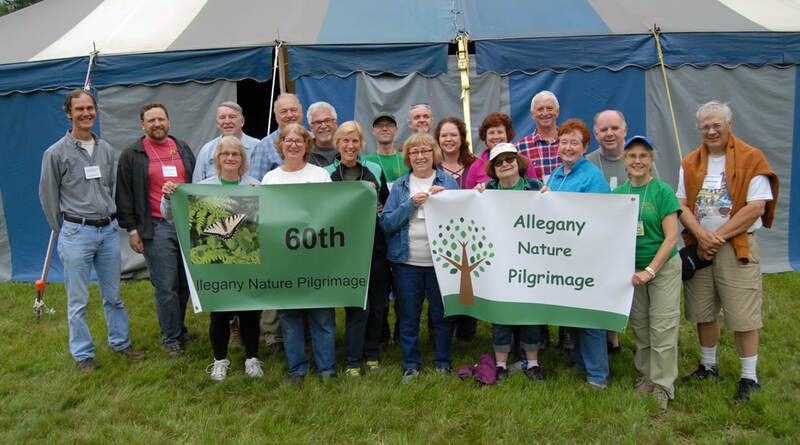 Julie greatly appreciates the Allegany Nature Pilgrimage because it brings families closer together as they share knowledge of life and the outdoors. As a boy, Frank's father made his family play outdoors instead of sitting around on their posteriors. He is glad that he did, as he learned a lot of nature by simply being in contact with it. As a teen, Frank worked as a caddy and wanted to know more about the trees and other plants found around the golf course. This really stimulated his interest. Many members were quite knowledgeable about trees and shared their knowledge with him in between strokes. As a young man, he went on hikes and peppered the leader with endless questions. After he was married, he sometimes went on hikes and trips, bringing his family along whenever possible. His wife was kind enough to allow him the “back 40” of their property to plant whatever would grow there. In his other life, Frank is an accountant, currently serving as an operations manager for a wholesaler and distributor. He is a Certified Management Accountant and a member of the Institute of Management Accountants, Financial Executives International and an associate member of the New York State Society of CPA’s. He has a Master’s Degree in Education and belongs to the Burroughs Audubon Nature Club, The Nature Conservancy, and International Oak Society. Frank enjoys old plants, old books, old golf and old friends. He has explored many places in New York and surrounding states, with a fondness for western North Carolina. He worked for a short while in Northern Europe and his sons were born in Honduras. Frank really enjoys being able to share with others as a hike leader and serves as Secretary on the ANP Committee. Judy has attended the Pilgrimage each year since the 1970s with her family and friends from the Jamestown area. This experience has extended a sense of wonder and spirit of care for wildlife to her family and grandchildren. She has served on the Committee for the past 20-some years, in charge of the chicken barbecue and public relations. 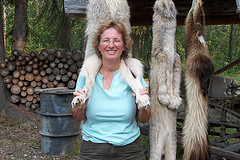 A teacher of young children with special needs, Judy incorporates nature in her teachings. She raised Monarch butterflies for several summers while teaching preschool, helping the children to collect eggs and milkweed on the school grounds and to feed the caterpillars and release them when they hatched as butterflies. She likes to think of herself of an avid birder and tries to learn more about birds every year. Bird-banding is a favorite activity. She helps raise Monarch butterflies for the Jamestown Audubon Society’s annual butterfly release day. A member and volunteer of Jamestown Audubon Society, Judy volunteers for several annual activities and feeds Liberty, the resident eagle, on Saturdays. Andy is ready and able to answer any question you may have about the Park's rich history. Specializing in the "How the Park got Started" Program, his passion is for Allegany State Park and he is knowledgeable in several areas from the late 1800s to the present time. Andy is also a park employee. Rob has never been hunting, but he learned his love of the outdoors from the hunters who served as his Boy Scout leaders as a youth. Today, as the Scoutmaster of the same Troop, he strives to instill an appreciation for nature in his charges. Sometimes he succeeds at this, sometimes he doesn't. Rob is a certified Master Educator with the Leave No Trace Center for Outdoor Ethics and serves as the President of the Buffalo Orienteering Club. Somehow, he ended up as the Webmaster here despite suspect computer skills and the fact that he'd rather be out in the woods. Rob "thru-hiked" the Appalachian Trail in 1998 and the Pacific Crest Trail in 2003, giving him over 5,000 miles of backpacking experience. His greatest gift from these experiences is a strong ability to be uncomfortable for long periods of time. That and not being fussy about food. Unlike many others, he has only been going to the Pilgrimage for a few years. He always finds the experience of hanging out with fellow nature nerds inspiring. In 1974, Becky attended her first Pilgrimage with her boyfriend, now husband, Lon. She served on the committee as the Registrar in the early 1980's. Her mother’s love of nature and wonderful Girl Scout camping experiences were the inspiration for Becky's love of the outdoors. She spent 12 years in Girl Scouting and later served as a leader for her daughter’s troop and as a Cub Scout leader for her son. Her daughter, who first attended as an infant in 1987, is now attending with her husband and son. Her son has been coming since 1992 and is now leading walks. Becky and Lon have made the Philadelphia area home since 1985 but enjoy time hiking, snowshoeing, kayaking, and backpacking from their vacation home in the Adirondacks. Now retired, Becky is happy to once again serve on the ANP Committee. Lon has a life-long passion for nature. He has degrees in engineering, accounting and marketing. He describes himself as a "gentleman naturalist with an interest in learning." 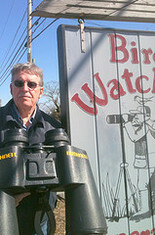 He has led hikes at ANP for 43 years, having formerly served as chairman and registrar for ANP and as a former executive in Burroughs Audubon. Ellen is a retired ESL and reading teacher with experience in kayaking and canoeing on flat, moving and whitewater who currently owns 9 boats. She lives on Irondequoit Bay and has a lot of on-the-water experience. 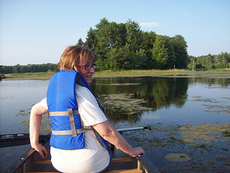 Ellen has led boating trips for the Genesee Valley ADK Club and on many informal trips with friends. Jack serves on the committee ex officio having been on the committee for several years and chairman in the 1990’s. Jack’s love of nature was developed when he was a child and his parents erected bird feeders as part of requirements for a Cub Scout badge. His first attendance at the Pilgrimage in 1982 was a result of a class that Linc Nutting presented to the Grand Island community. Through his work with the Air Force, Jack was able to increase his love of birding by visiting 49 US states and over 60 countries. Jack is grateful to Bob McKinney who asked him to assist with bird banding, one of the best opportunities to see birds at arm’s length. With his great niece and great nephew attending the Pilgrimage, his family attendance is now at four generations. If you are considering attending, Jack would like you to know that this family event is without compare. Rob was raised camping every year on family vacations. Being number 6 of 9 kids, there were no hotel stays, so they were outside all the time. This was a great way to see the country and being outdoors was an adventure all day, every day. His wife Kim, who teaches at the Pilgrimage, got Rob hooked on it and they have been coming every year since 1987. This is Rob's favorite weekend of the year and about 10 years ago he decided to get on the committee and help to keep this weekend going forward. He started out as a gofer--whatever was needed, he would gofer it. Rob took over the Program Chair position in 2010 and enjoys interacting with all of the leaders--without them he would lose his favorite weekend of the year! Dawn is the committee member in charge of leader registrations. You will see her each Pilgrimage weekend in the registration room, making sure the leaders have their nametags and assignments. She is responsible for having a map available from each leader showing the route the field trip/program will take--just in case a participant is late for the beginning time. Dawn recently retired from the UB Chemical and Biological Engineering Department as staff member in charge of graduate students. She has also served her community as the Town Clerk of Alexander. Dawn’s teaching career, prior to raising three children, also included the start-up of the school’s ecology club, the first for the school. In her free time, she enjoys walking, quilting, reading and time with her friends and grandchildren. Liz has been an avid birder since her first effort to put salt on a robin's tail as a toddler. Originally a journalist, writer and editor by training and trade, she holds a minor concentration in fine art from Buffalo State College and enjoys trying new ways of involving children and adults in art and the natural world. Liz has participated in the Allegany Nature Pilgrimage with her family for 17 years. She has been a Cub Scout leader and is currently a member of the parent committee for Boy Scout Troop 5 and Sea Scout Ship 1 in Buffalo, NY. She is director of member services and government relations for the Western New York Healthcare Association.